This year Bentley releases a more traditional product, the Brooklands, a large luxury coupe intended to be more expensive and exclusive than the Continental line. 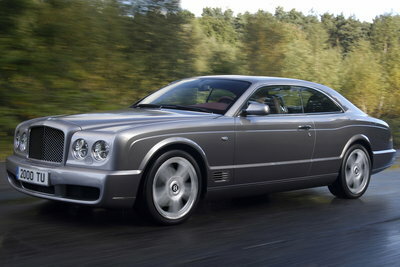 The Brooklands features a 530-bhp V8 and Arnage-like proportions. With a total series production limited to just 550 units, the Brooklands will be one of the rarest Bentleys in recent years.